That’s the number of years McDonald’s has been a part of our lives, since its first outlet opened at Liat Towers in 1979. It’s a tricky number, seeming both too many and too few at the same time, especially given how the Golden Arches have become such a big part of our lives. From the outlets that have played host to our birthday parties, first dates and mugging sessions, to the burgers that have been our form of sustenance during the late nights on campus and in the office; McDonald’s has successfully embedded itself into the lives of Singaporeans – in varied, yet similar ways. Perhaps its yummy offerings and adorable plush toys is one thing, but there is more to McDonald’s long-thriving appeal than many think. The reason the establishment’s popularity among Singaporeans has remained unchanged, in spite of how quickly our country has progressed and transformed over the years, is because McDonald’s has taken great care in localising the brand – making it a uniquely Singaporean experience, albeit American in origin. It’s not just in Singapore that its efforts have been recognised by marketers and consumers – in an article talking about the importance of localising a global brand, McDonald’s was specifically mentioned for having “mastered the subtle art of localisation with the creation of regional menu items for their international markets”. But that’s not the only way global brands have taken on the task of localisation. For example, tech giant Apple is famous for tweaking its stores to best fit the locale and culture of the city its in, having it “become one with the community”. Its stores in Japan are also known for participating in the Japanese New Year’s Fukubukuro (“lucky bag”) tradition, giving out bags containing random Apple products for highly discounted prices. 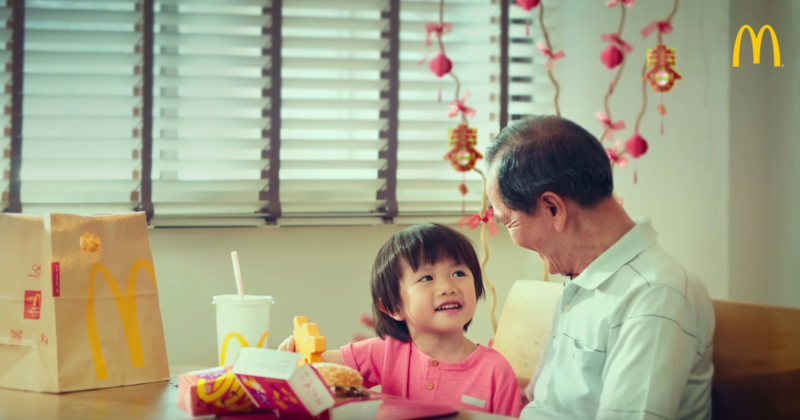 Global brands are seeing the benefits of investing in localisation, and here are some ways that McDonald’s has so successfully integrated itself into our Singaporean experience. To start off, we can’t miss out the most prominent way that McDonald’s has assimilated in Singapore – the food! In a previous article talking about the ‘secret sauce’ of how fast food restaurants are still thriving in a bleak retail landscape, we mentioned that the agility and ability to adapt to local food trends, and to tweak offerings to match the local palette was a main strategy for these establishments to stay relevant. That’s definitely the case for McDonald’s, which has been making us go gaga over their localised offerings. Take for example their take on the Salted Egg Yolk trend last year, which also saw the inclusion of Salt & Pepper Crab twist-and-shake Fries and also Gula Melaka McFlurry onto their special menu. Whenever Chinese New Year rolls in each year, their oh-so-saucy Prosperity Burger also makes a reappearance, leaving Singaporeans wishing that it wasn’t just a time-limited offering. My personal favourite, the Twister Fries is also back for this period, and joining the finger food squad are the sweet, savoury, and very juicy BBQ Drumlets. To add on to the festive mood, they’ve also come up with French Fries and McCafé Frappe printed orange bags, so that you can bring them along to all those visitations you’re soon to embark on. These bags are available for purchase at $5 with any order via McDelivery and over McCafe counters. There are only a few things that can bring Singaporeans together in a single location at the same time – freebies, a rare Pokemon sighting, trendy food, and limited edition items. We’ve seen the snaking, overnight queues for fashion brands releasing limited edition apparel, but what came before all of this were the crazy queues for McDonald’s toys – more specifically, their Hello Kitty plushies. The company has released a number of limited edition collections over the years, but the one that started it all began way back in 2000, when they released the Hello Kitty McSweet Millennium Love Collection, which went down as one of the most prolific moments in Singapore queuing history. While the queues have become more controlled in recent years, there’s still a McFlurry (pun intended) of excitement that emerges every time a new adorable iteration is released. 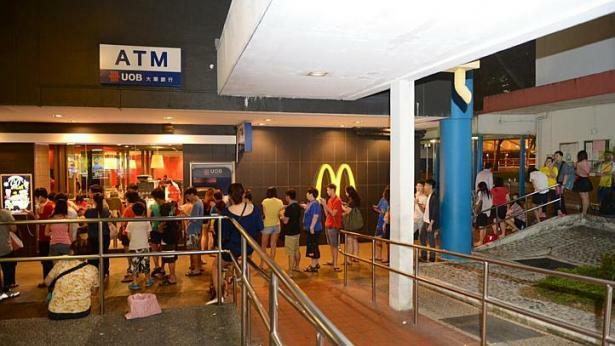 Ask any Singaporean on the street about their favourite McDonald’s outlet and you’re more than likely to get an answer tied along with a fond memory. Personally, my favourite outlet is the now-closed outlet at Bedok Interchange’s Princess Theatre. The reason is simple – my childhood memories are not complete without the Hotcakes breakfasts that filled my Sunday mornings with joy and loads of maple syrup. I’m pretty sure I’m not the only one with a favourite outlet, as many were saddened when they had to bid a sad goodbye to East Coast Park in 2012 (which has now been replaced by the new Marina Cove outlet) and also to King Albert Park in 2014. As a fast food outlet, it’s only logical to set up shop in locations where people need their food – pronto. This is why they are a mainstay in tertiary institutions, especially sprawling university campuses with hungry students. They’re also commonly found in the heartlands, and have become popular hangout and study spots for students with schools in the vicinity, or even hungry residents with the random craving for fries and nuggets. In this way, they have not only ensured that Singaporeans have convenient access to their cravings at every location, they have also enforced a sense of familiarity, one that Singaporeans can turn to when in not-so-familiar estates and even countries. 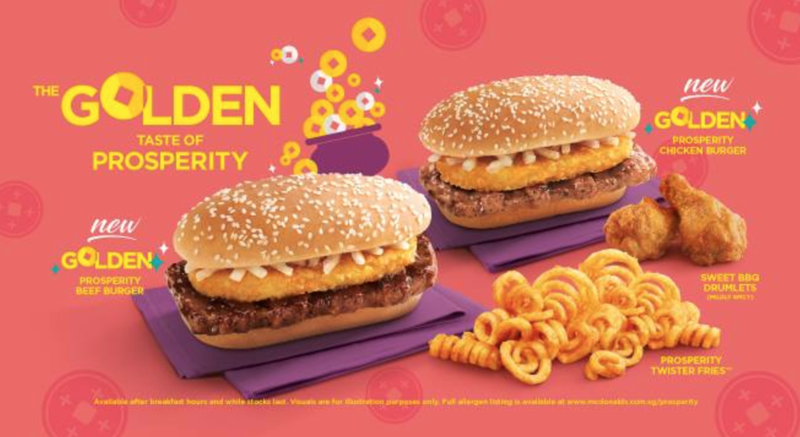 Not just for upping their PR game, McDonald’s has also organised campaigns in a bid to form an even greater bond with the Singaporean community – making them less of just another fast food joint but more of a company doing their part for the country that adopted them. 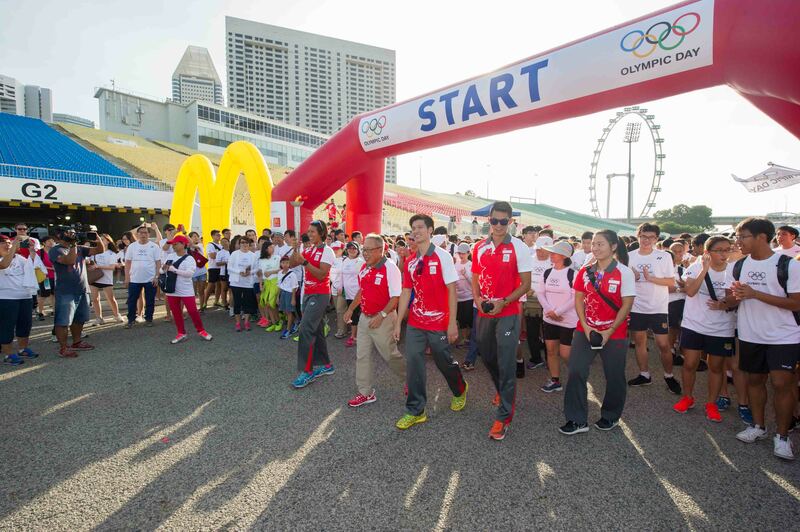 For example the annual Olympic Day Run, held here since 2003, is a joint effort by McDonald’s and the Singapore National Olympic Council (SNOC) to spread the Olympic values of excellence, friendship and respect, and to encourage people to get active. Last year’s Run, held in July, played host to 3,000 participants who also showed their support for local athletes who were due to compete in the Rio 2016 Olympic Games later in the year. Not just in sports, McDonald’s has also played a part in helping Singaporeans stay relevant and employed in the face of unwavering disruption. For example, the management implemented a series of operation and training changes to help mature workers keep up with the new technology that McDonald’s invests in to make processes more efficient (for eg. self-order machines). They emphasise their stance that older workers remain as gems to their crew, as they tend to “serve as mentors for the younger ones”, and “help create a warm and ‘family’ atmosphere in the restaurants”. As an employer with 50% of its staff comprising of older workers and housewives, they have also created flexible work options for those who need to work at an outlet nearer to home, and is also working with NTUC and Community Development Councils in a bid to encourage more women to get back into the workforce. 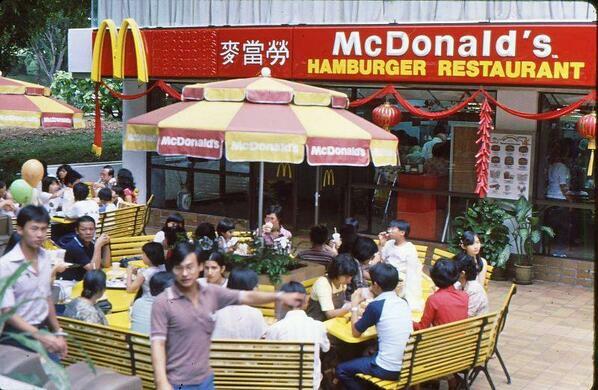 To Singaporeans, McDonald’s has become a big part of our lives, and is more than just another place to get food. As a brand, McDonald’s has succeeded in not only making its way to our stomachs, but to our hearts as well. Perhaps it’s due time that other international businesses here do the same. What are your favourite memories of McDonald’s? Let us know! This article was written in collaboration with McDonald’s.